I'm currently on Book 3 of Elena Ferrante's Neapolitan novels about Lila and Lenu - they are mesmerizing, addictive, evocative, and have, so far, been giving me the best reading experience of the past few years. Ferrante is right up there with the likes of Sebald and Modiano. This came highly recommended but I have found it disappointing. This came highly recommended but I have found it disappointing. The narrator gives minute detail of the development of her relationship with the other girl but the book lacks structure and I cannot care about the characters. It seems a self-indulgent trip down memory lane. I have stuck it out nearly to the end but am a bit bored with it now. I bought the whole trilogy too! Sorry to be so negative. 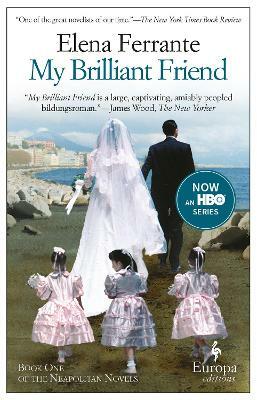 This is a great portrayal of two friends growing up in a poor area of Naples in the 1950's and the paths they chose. I can't wait to read the next book in this trilogy. What started out so breathtakingly in My Brilliant Friend continues throughout in this quartet of books that form the best thing I have read this year. Lauded by seemingly every critic, I finally gave in to the hype. I read 120 pages in my first sitting and couldn’t stop until it was all over.